It is no mystery that as time passes, our bodies change. 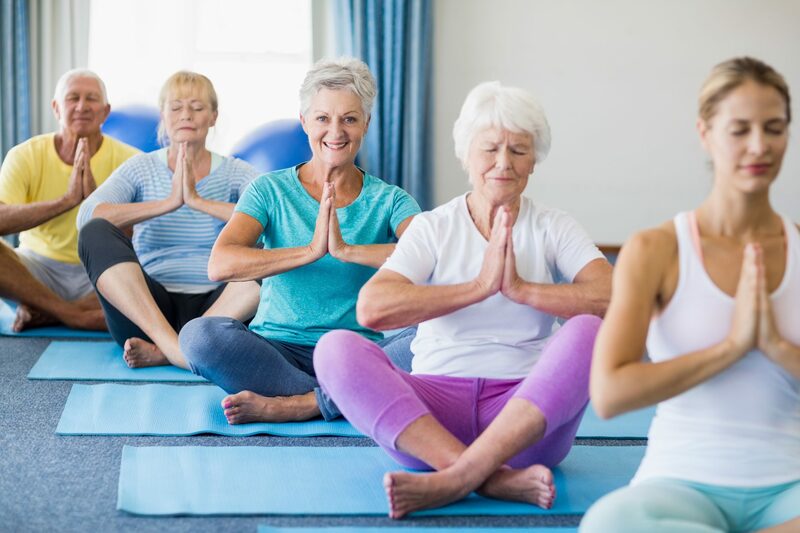 And while statistically, the incidence of urinary incontinence may be more common as we grow older, Bellevue physical therapist Jenifer Johnson contends it doesn’t have to be normal part of aging. According to the U.S. Centers for Disease Control and Prevention (CDC), more than half of America’s older adult population lives with incontinence, with 25 percent reporting moderate to very severe urinary leakage. Due to the stigma, though, many do not talk about the condition. That is why Johnson teaches that urinary incontinence is something that can change and should always be addressed with a health professional. “It is a huge quality-of-life issue, and in physical therapy, that is the goal – to make quality of life stronger,” she said. Studies published by BMC Women’s Health show that women treated by a physical therapist see an average of 97 percent improvement and a cure rate of 73 percent when it comes to stress urinary incontinence. Women, it should be noted, generally experience urinary incontinence more often than men due to physical changes from pregnancy and menopause. It all begins with education: Much of what Johnson covers with patients is information regarding normal bladder habits, bladder functioning, and what should be experienced with urination. She shares information about the pelvic floor and the surrounding muscles, and she identifies whether the incontinence is stress incontinence (urinary leakage from an increase of pressure caused by laughing, sneezing, jumping, exercising, etc.) urge incontinence (urinary leakage with a strong desire to urinate), or a combination of both. Keeping a bladder diary may also be part of this first step. Transforming information into results: One of the main ways to help urinary incontinence is to strengthen the pelvic floor and nearby muscles. Johnson assists patients in identifying and isolating the pelvic floor in order to learn and practice the appropriate exercises. Some patients may also work on bladder re-training and apply techniques that slowly increase the amount of time between voids. This can also decrease anxiety about always having to be near a bathroom. Changing what we put into our bodies: Diet can also aid in supporting the improvement of urinary incontinence. Anything other than water can act as a bladder irritant, but the big culprits are beverages that contain caffeine and carbonation. Johnson teaches patients about proper fluid intake, as some only drink water when having to take pills in fear that drinking more water could cause more leakage. With commitment to a care plan, patients can discover that urinary incontinence is not something that is inevitable. In addition to physical therapy, customized care plans at Hillcrest Physical Therapy may also be supported by medication, biofeedback or electrical stimulation. To learn more about how Hillcrest Physical Therapy can help with urinary incontinence, call (402) 682-4210 or visit hillcresthealth.com.